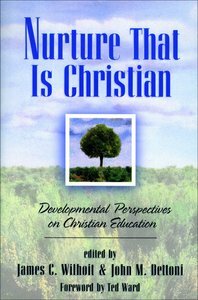 This book seeks to aid Christian educators in becoming more intentional in their use of a developmental perspective that is integrated with their theology as well as to the art of teaching. In this book, noted educators offer a clear statement of developmental theory from a Christian perspective and suggest practical applications to local church ministry contexts, thereby aiding teachers everywhere. About "Nurture That is Christian"